A certified reference material (CRM) is generally recognized as providing the highest level of traceability and accuracy to a measurement. A CRM designed specifically for cannabis testing and tailored to state-specific testing regulations could help laboratories better ensure the safety of their products. The fact that a certificate accompanies a reference material does not qualify it as a CRM. The reference material must be produced in accordance with ISO Guide 34 specifications by an accredited manufacturer. Adam Ross, key account manager and organic specialist at LGC Standards, says accreditation is a big part of bringing legitimacy to cannabis testing. “For a laboratory to receive an ISO 17025 accreditation, they must purchase their RMs from an ISO 17025 manufacturer. The best option is to purchase an ISO Guide 34 manufactured CRM,” says Ross. 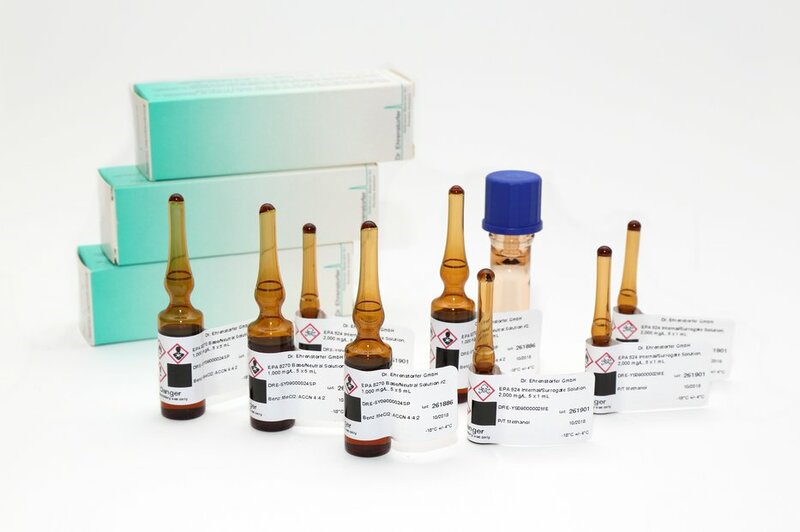 “It is particularly important for testing requirements, such as potency, pesticides, etc., where quantitation is expected, to use properly certified quantitative reference materials.” LGC Standards, a 175-year-old company, is one of those manufacturers that invested the time and money to achieve ISO Guide 34 accreditation and offers a spectrum of CRMs for cannabis testing. The major advantage to using a proper CRM is an increased level of credibility. Auditors recognize the value of using a CRM which can add to the integrity of the results produced. The regular use of certified reference standards along with proper training, methodology and instrumentation, will facilitate a result that has the least amount of uncertainty and is more defendable. “The regular use of certified reference standards will help ensure products that go to market are safe to consume,” says Ross. With regard to potency analyses, Ross has some key insights to help a laboratory better utilize CRMs. “My advice? Don’t mix the cannabinoids; labs analyzing by GC/FID have discovered that some of the cannabinoids will co-elute. Also, they have a short shelf life when mixed together,” says Ross. “Cannabinoid analysts should use GC/MS or LC/MS for their analysis or analyze the cannabinoids individually,” says Ross. So what happens if a cannabis lab uses non-certified reference materials? Labs might save money in the short term. CRMs are slightly more expensive than a non-certified reference material, but will increase the defensibility of a lab’s data. Using a reference material created in-house or from a non-accredited vendor can lead to less-than-accurate results. A non-certified reference material has a greater chance of being made incorrectly. The publication of incorrect data damages the credibility of the testing lab and could lead to legal action against the lab from damaged parties. One of the major challenges for the cannabis testing industry is the variation in state-to-state regulations. Ross says that Oregon’s regulations are pretty comprehensive and that other states should look to the Oregon Environmental Laboratory Accreditation Program (ORELAP) for guidance. According to Ross, ORELAP would like to see higher quality standards with legitimate traceability. Utilizing CRMs the correct way will help laboratories achieve greater accuracy. Always bring your standards to room temperature before making a dilution. Matrix matched calibration standards provide more accurate quantitation. Prepare standards in the solvent from extracted blank matrices. Always bracket your analytical runs with continuing calibration verification standards. Proving that your instrument remained calibrated during the run gives your data more credibility. Typically, labs will spike known concentrations of the analytes of interest into a control sample and regular samples with the intent of testing analytical efficiency. Recoveries of analytes from the spiked control sample tell the chemist how well the analytical method is working. The spiked samples (matrix spikes) demonstrate to what extent the sample matrix (the consumable being tested) is influencing the results of the analytical procedure. CRMs could be described as the nexus between cannabis testing results, the human element and the instrumentation used in an analysis. By using a cannabis-specific CRM, the cannabis testing community can demonstrate tangible improvements in accuracy and legitimacy.